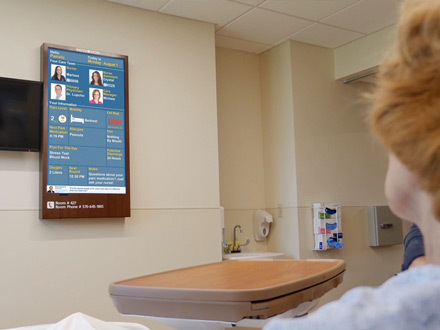 Replacing the traditional labor-intensive patient room dry-erase whiteboard, MEDI+SIGN® automatically delivers accurate and real-time fall risk, mobility, pain level and other critical information directly from your EHR and auxiliary systems to the patient in a simple and easy to read and understand format. 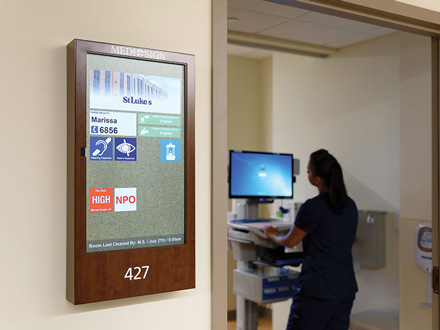 Located outside each patient room, the digital door display announces important information for the care team before they enter the room, including bed status, safety precautions, isolations and allergies, using your hospital’s icons to protect the patient’s privacy and to minimize staff training. 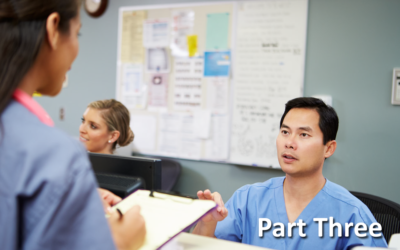 At a glance, a nurse can see when a round and pain medication is overdue, as well as the patient’s pain level and pain level trend. When paired with Anti-Fall™ technology, additional information can be displayed including OOB Status and Fall Prevention alerts. 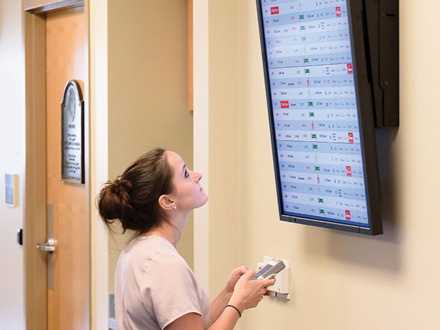 Located inside each Emergency Department exam room, MEDI+SIGN digital solutions bring critical alerts to emergency patients, including care team, ordered tests, test time estimates and a special alert when team members are paged to respond to a more emergent situation. 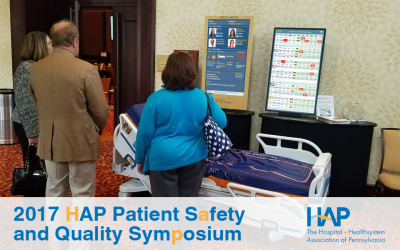 Patent-pending Anti-Fall™ algorithms detect the patient’s fall risk from the EHR. 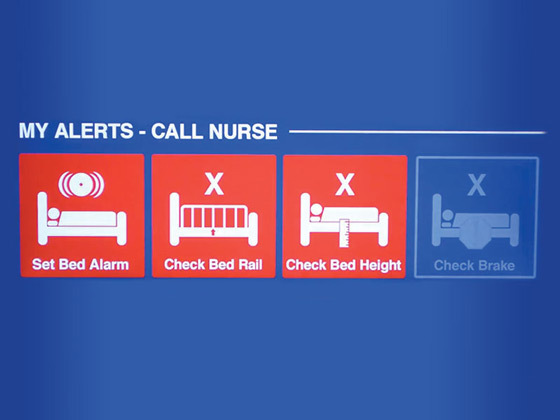 When connected to the patient’s smart bed, alerts concerning the bed’s height, rail position, brake and other safety conflicts are shown on the MEDI+SIGN displays to prevent falls. 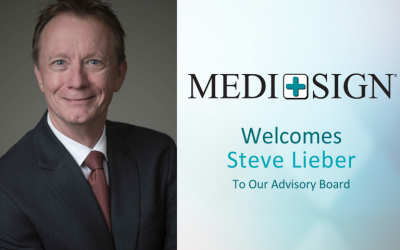 Part Two: Healthcare Risk Control (HRC) relies on Communication, Patient Safety, and Patient Experience each; directly affects the other. 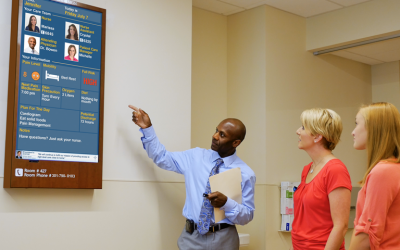 Hospitals are searching for ways to improve staff efficiency and communication. 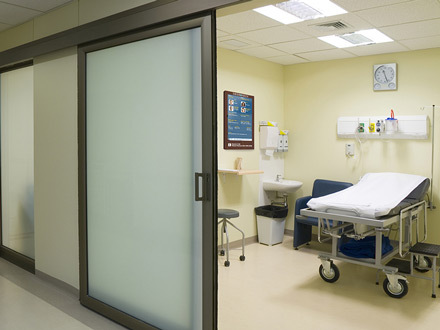 Additionally, hospitals want their patients to be satisfied without sacrificing the quality of care. The answer? 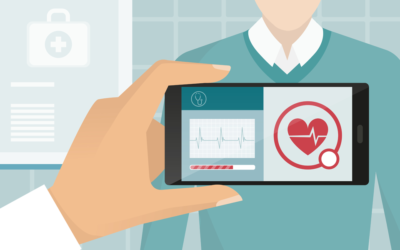 Smart Technology within the coordination of care.